Hospitals have their own security challenges. Making sure that a hospital stays secure is one of the most difficult and most important security concerns in today’s industry. After all, hospitals never really close and the flow of personnel and pedestrians is nearly constant. Not to mention the fact that they are places where a lot of high-stress activities are going on. 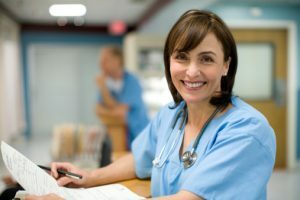 The threat of a security breach is constant, but with the right tools and techniques, you will be able to protect the vulnerable parties and their care givers in your hospital. Let’s take a look at how you can provide excellent security for hospitals. Start on the outside and work your way in with hospital security. Parking lots and parking garages are often places where a lot of security is needed to ensure the safety of the facility. Security today says: “According to the federal Bureau of Justice Statistics, more than 7 percent of the country’s violent crimes and 11 percent of property crimes occur in a parking garage or lot.” That is a lot. Something that can help with this awful set of statistics is to install emergency outposts throughout the parking area. This will extend help to those who need it 24/7 while also deterring criminals from committing violent acts. You can also install a two-way radio at your ticketing stations so that people who need help can ask for it. Keeping communication open is one of the smartest ways to maximize your security in any area. Protect the interior of hospitals with visitor management and access control. Hospitals have a lot of sensitive and valuable equipment housed within them. They also have controlled substances as well as medications that could be stolen and sold on the black market. To ensure that these things stay secured, you should make sure that your visitors are properly managed. One way to do this is to utilize the power of access control. By keeping differing levels of employee out of certain areas and ensuring that “employee only” spaces remain so, you can monitor who is going into restricted areas. Optimize security for hospitals with help from ARK Systems! This entry was posted on Thursday, August 4th, 2016 at 8:04 pm. Both comments and pings are currently closed.